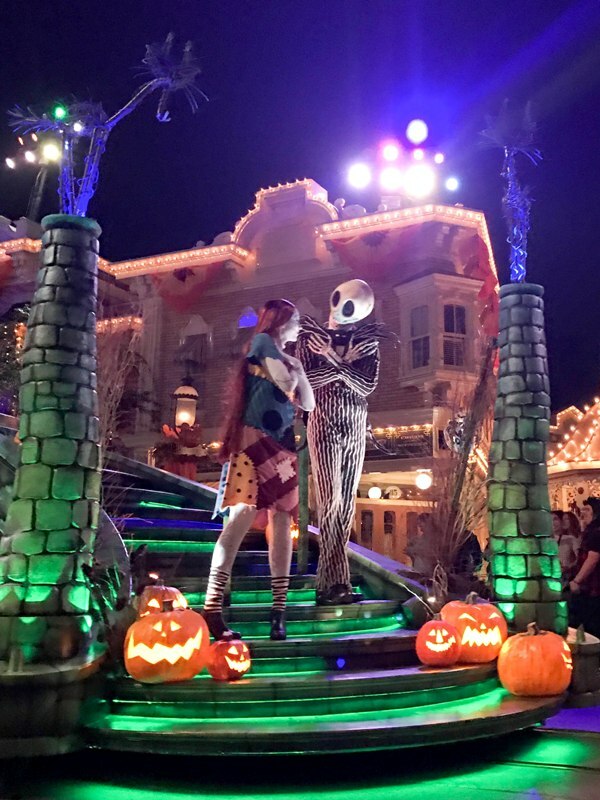 If you have attended Mickey’s Halloween Party at Disneyland and think you’ve seen everything, think again! 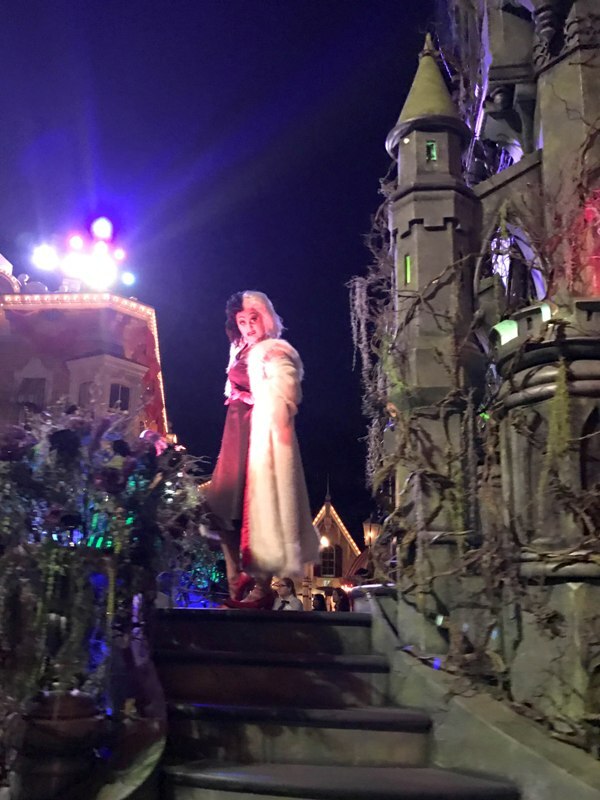 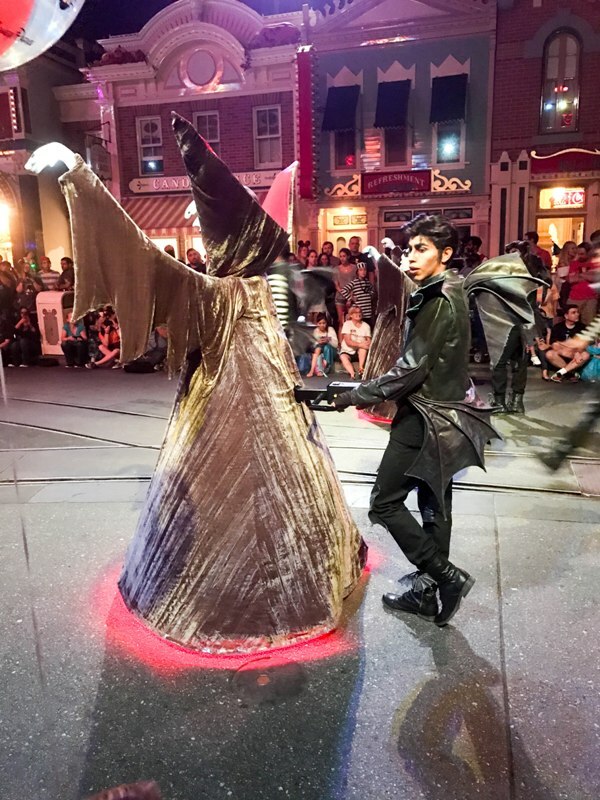 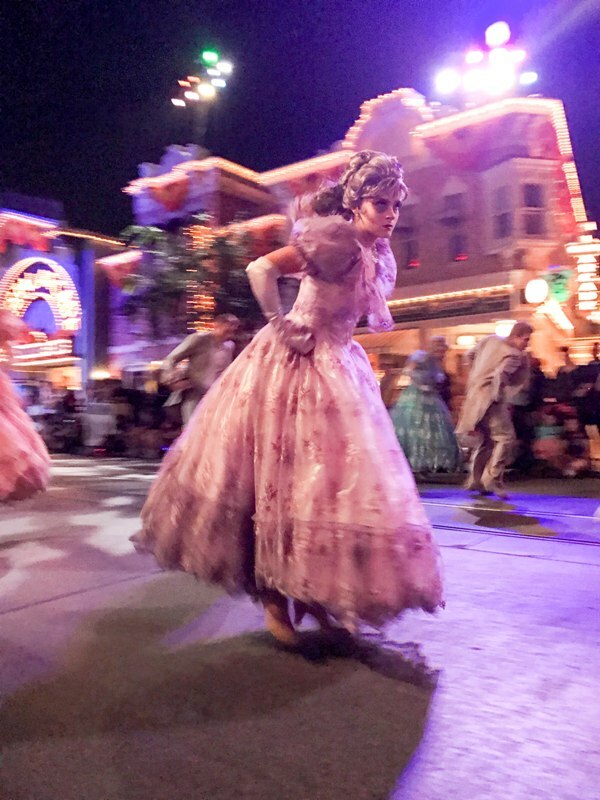 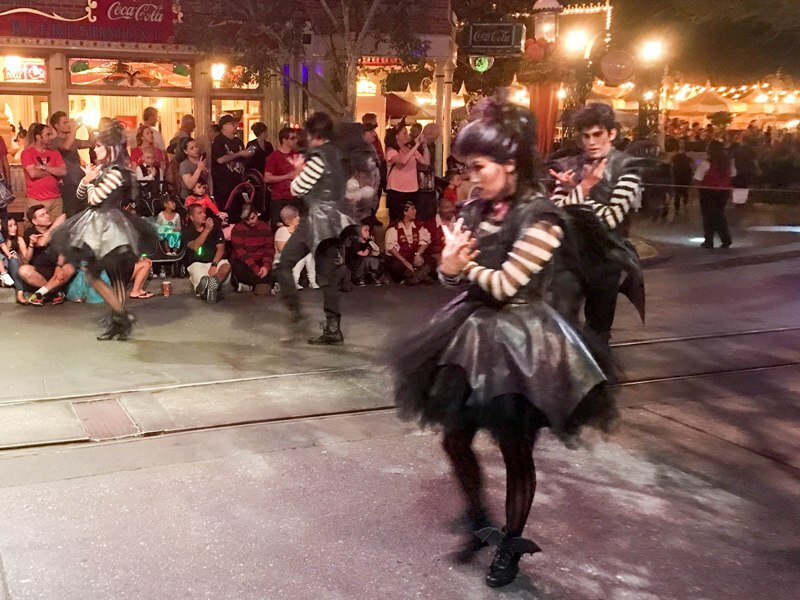 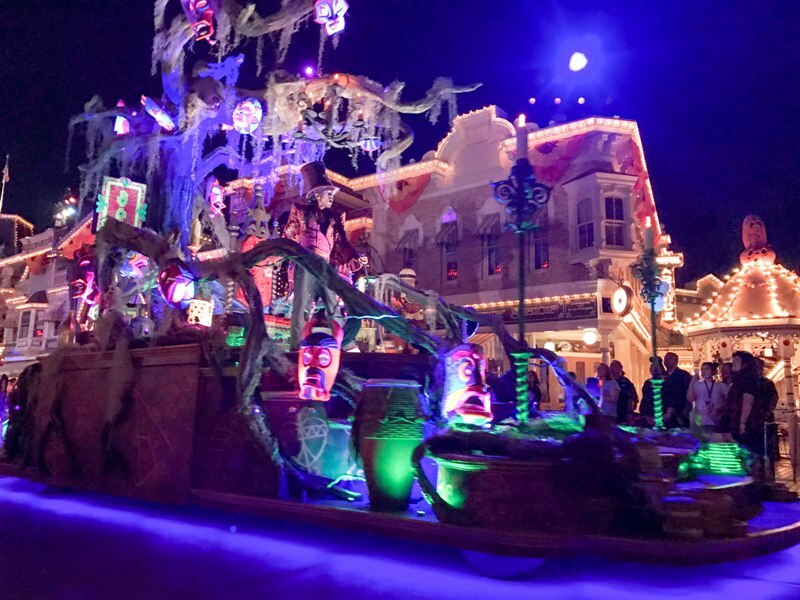 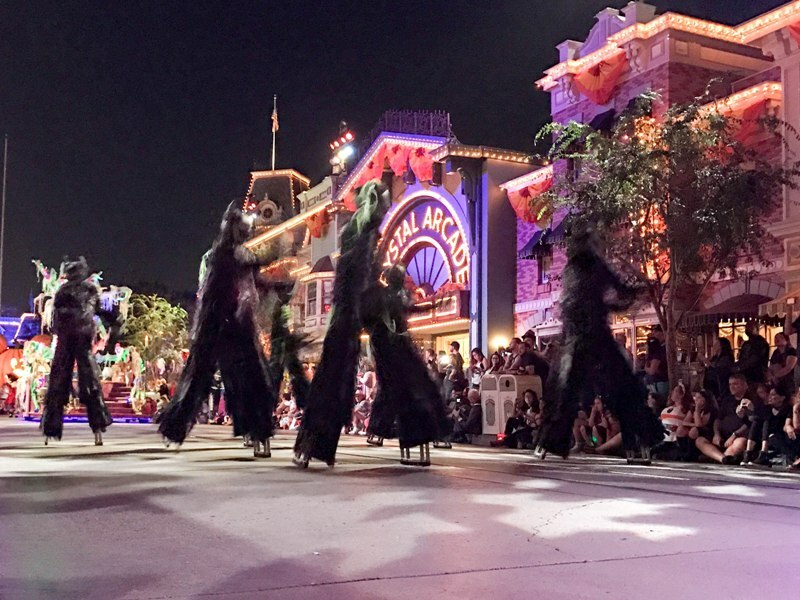 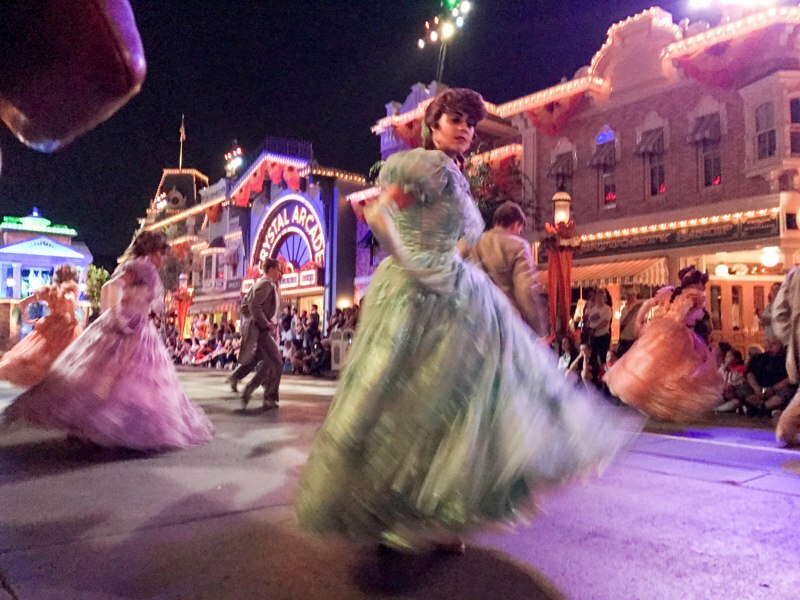 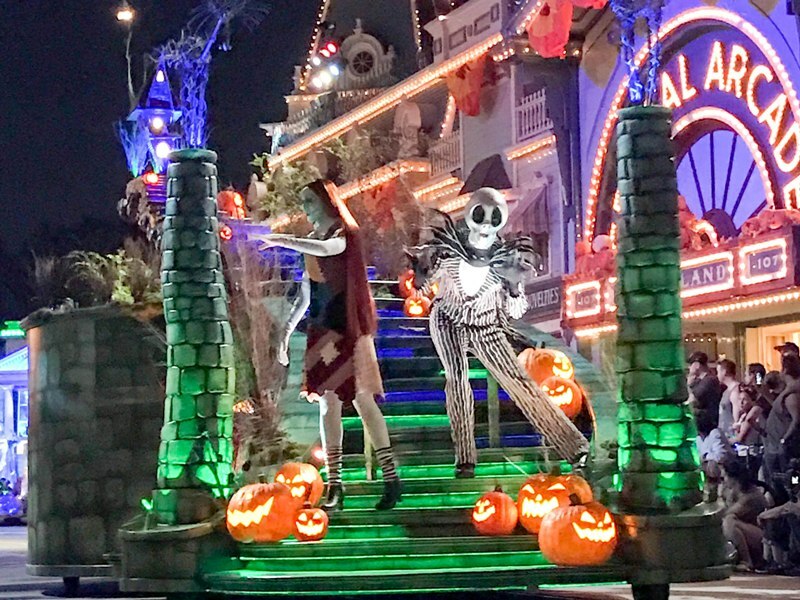 New in 2016 is the ‘Frightfully Fun Parade,’ the first Halloween parade at Disneyland! 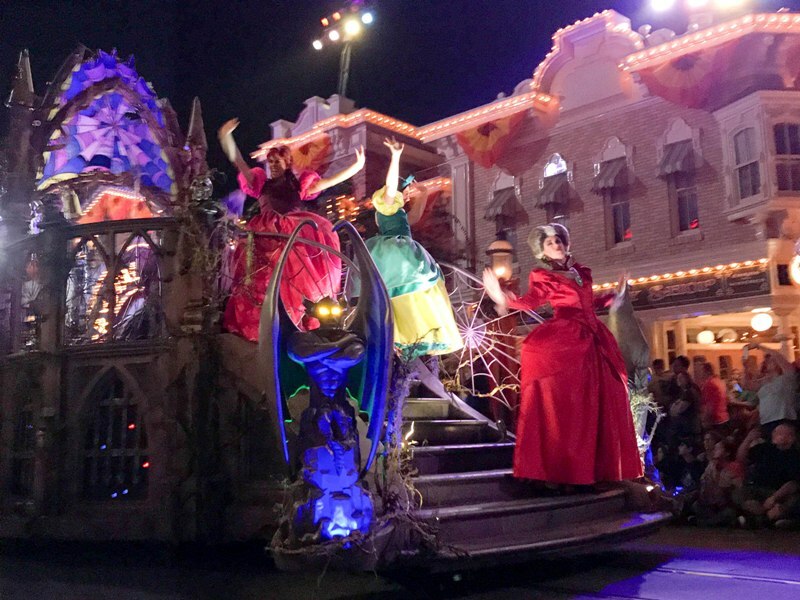 In the past there have been mini-parades and costume cavalcades, but this is a step up in production from anything Disneyland has had in the past. 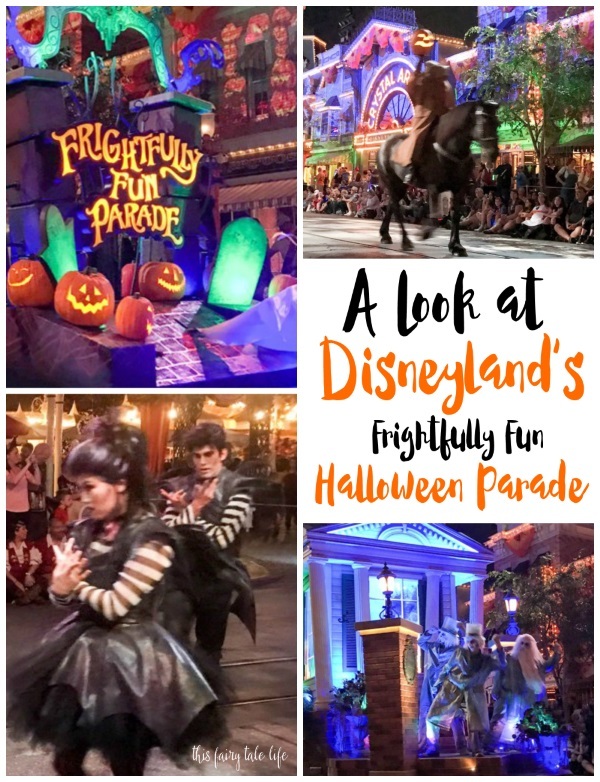 I attended Mickey’s Halloween Party in late September to check out this new show! 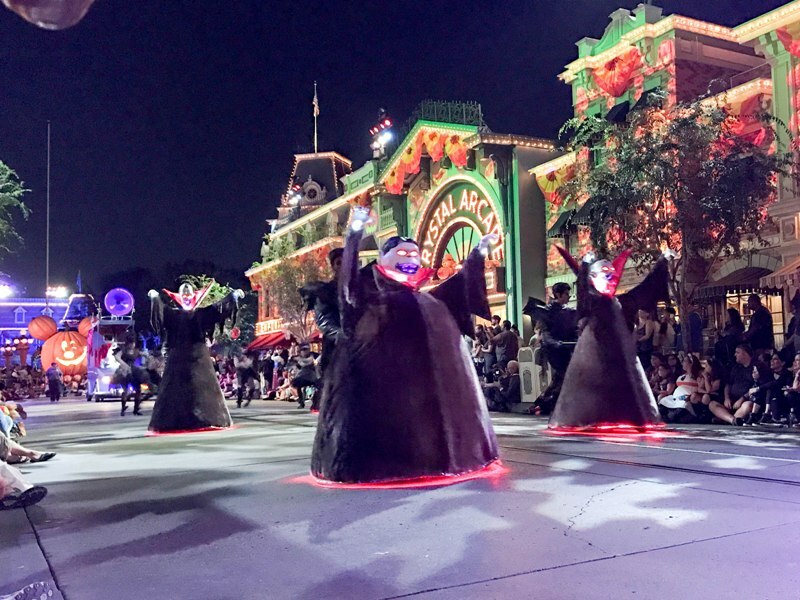 The parade is performed twice per party and runs the usual parade route, from It’s A Small World through the park to Main Street USA, then reversed for the second show. 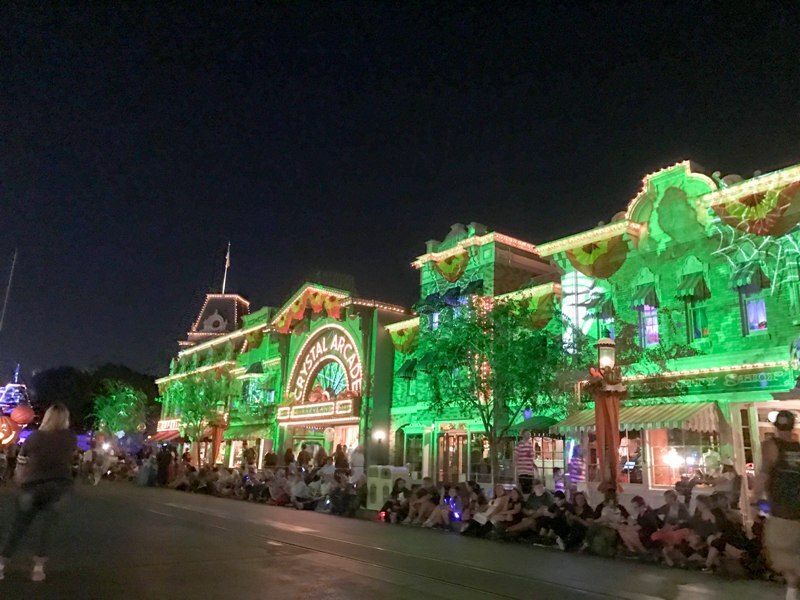 You’ll have a great view of the show from anywhere along the route, but I recommend watching the parade either on Main Street USA or across from It’s A Small World so you can also enjoy the light projections on the facades. 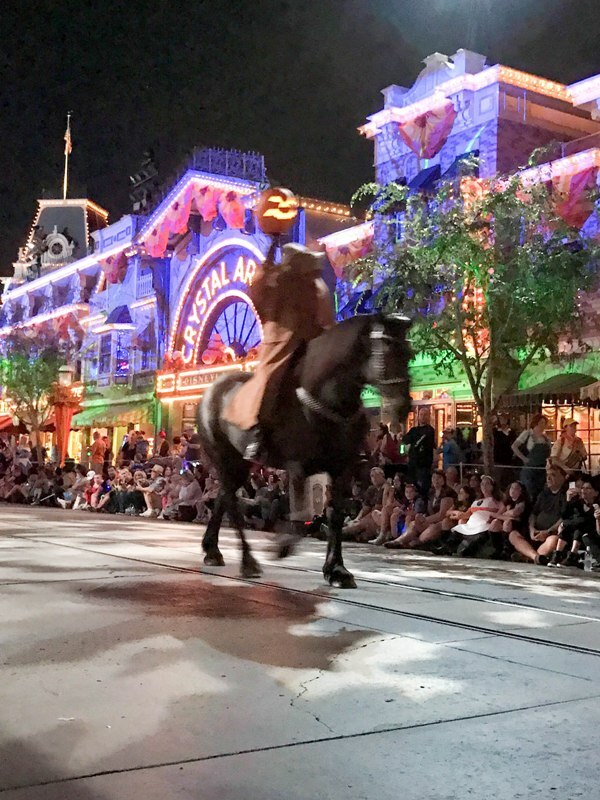 I watched both shows and I don’t think any angle is better than the other, except for watching the Headless Horseman (see my tip below). 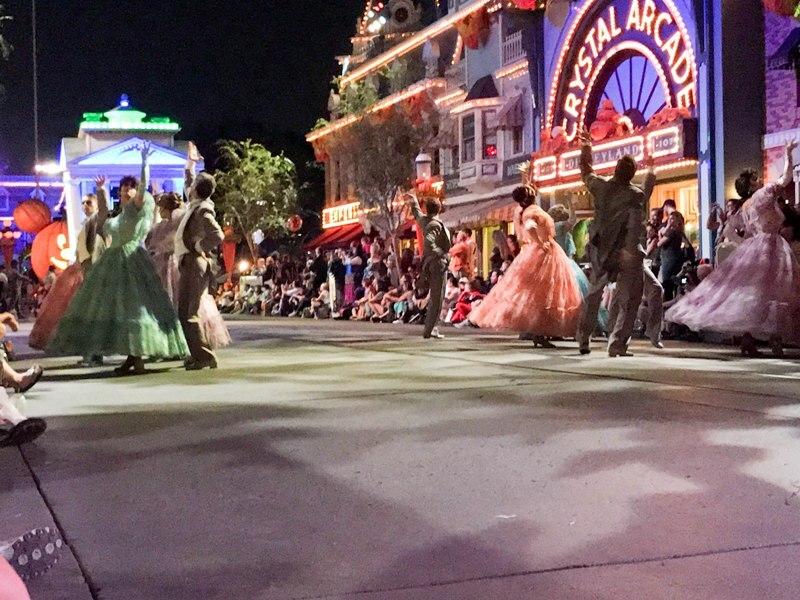 Be advised the first parade ends right before the fireworks begin, so be strategic in your viewing spot so you can watch both. 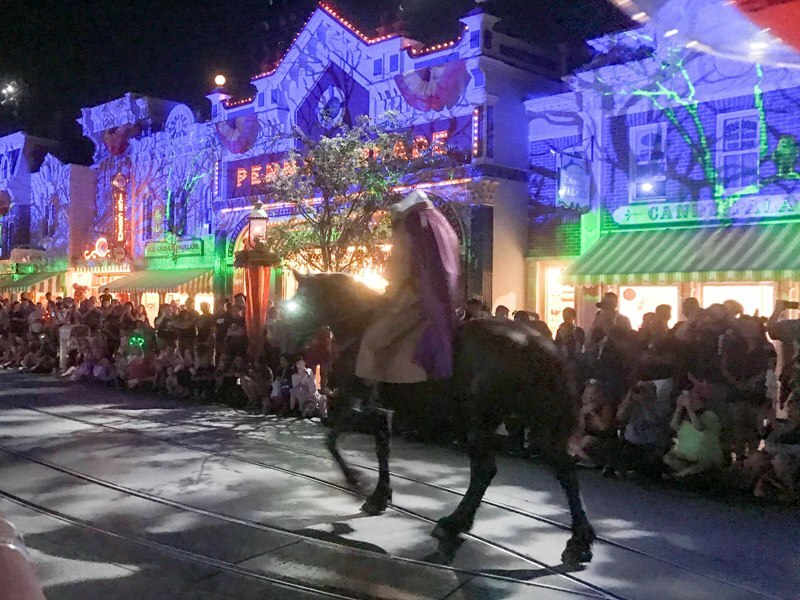 Before the parade you’ll have a chance to see another new offering at Disneyland – the Headless Horseman rides through the park. 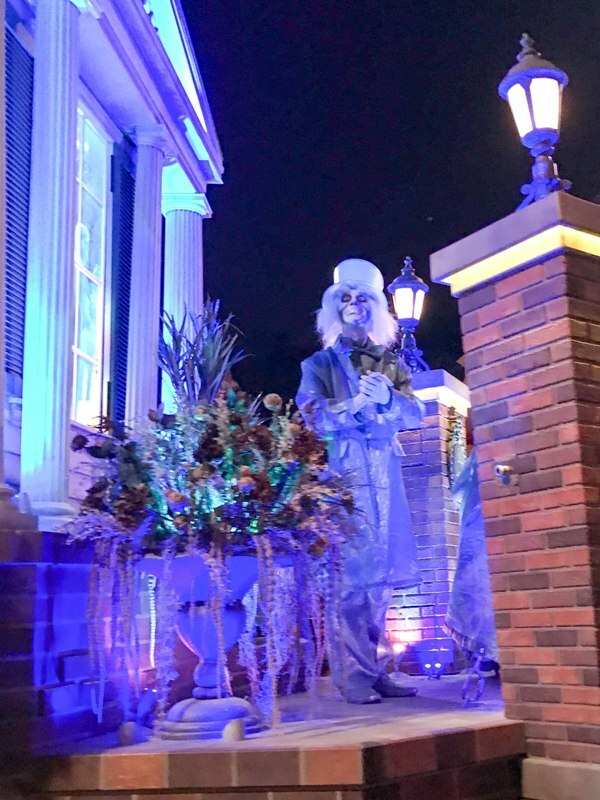 He rides through quick so be sure you don’t blink! 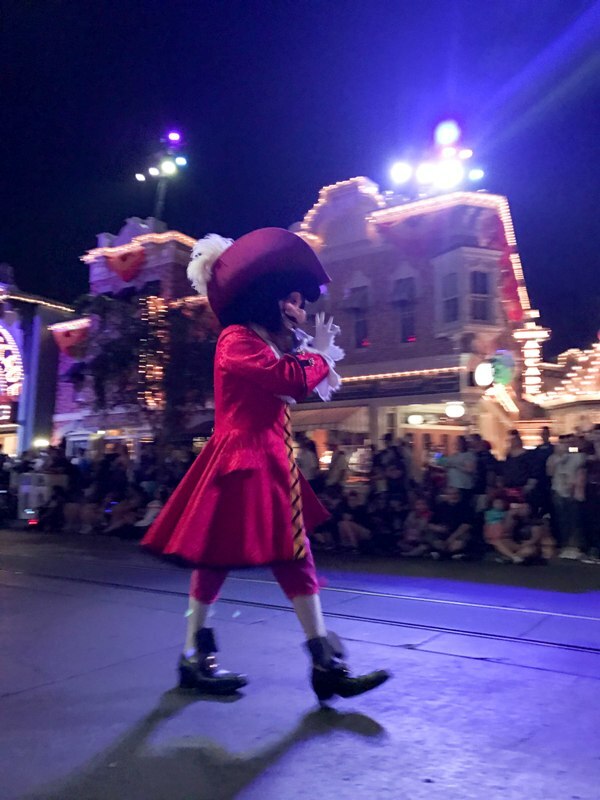 He goes by so quick I couldn’t get a good shot, even with my fancy new iPhone 7! 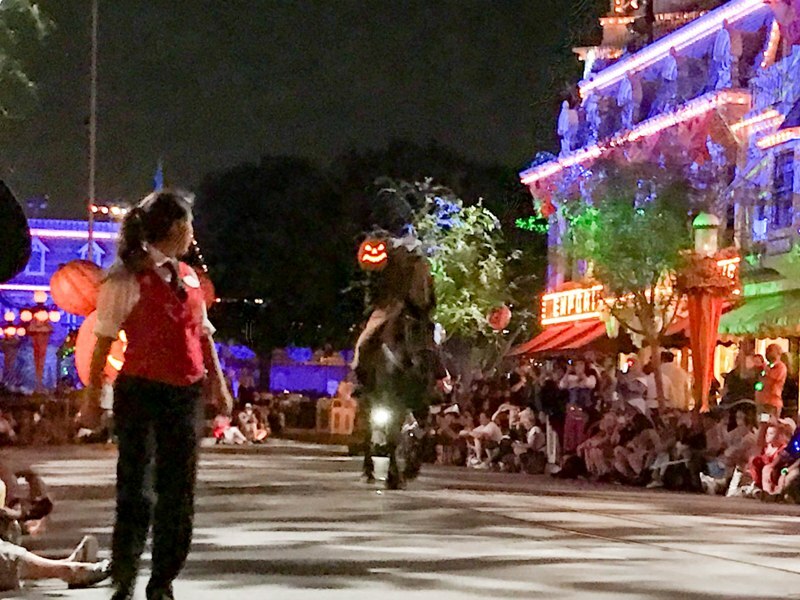 Headless Horseman pro tip – He holds his jack-o-lantern on his right side, so if you want a good view sit on the west side of the route for the first show (Small World to Main Street) and the east side of the route for the second show (Main Street to Small World). 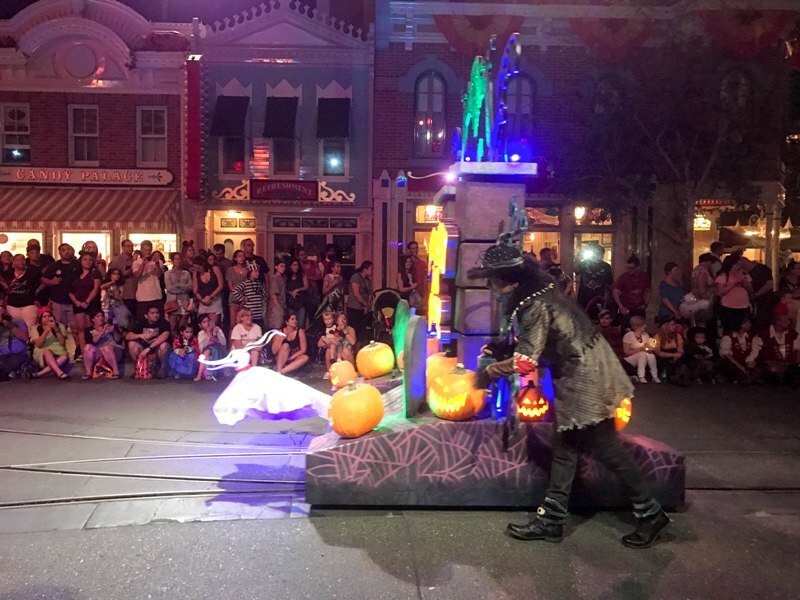 The parade officially starts with Zero, the ghost dog reindeer, lighting the way. 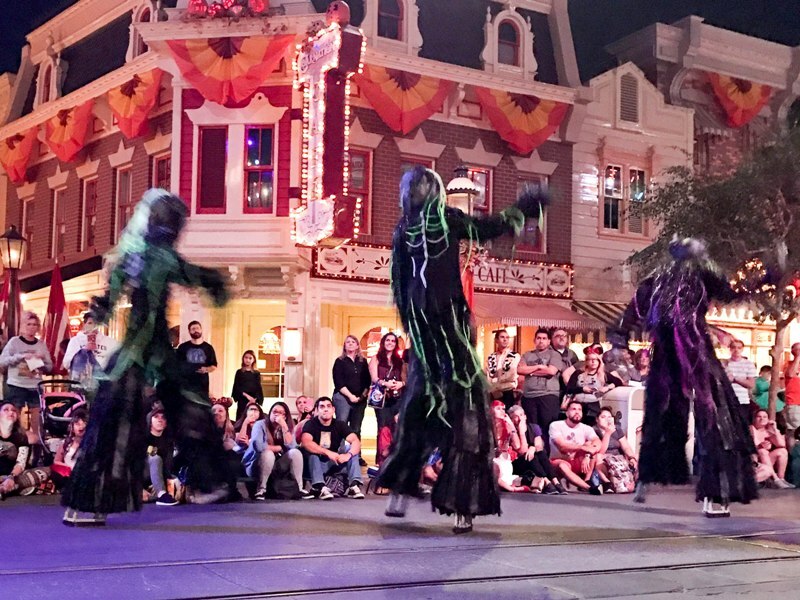 There are lots of ghoulish performers, including hunchbacks (the Frankenstein kind, not the cuddly animated kind), bats, witches, and vampires. 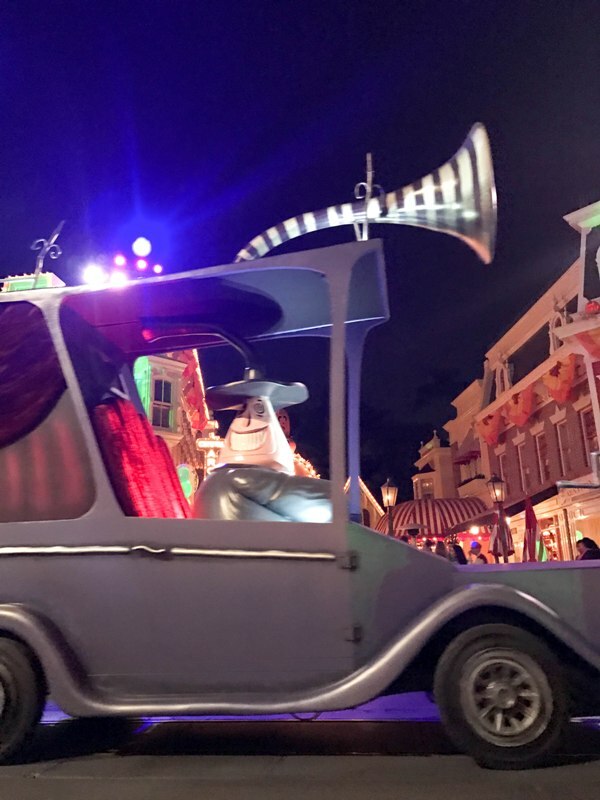 Nightmare Before Christmas is well represented in this parade, including a car driven by The Mayor, and Jack and Sally greeting parade watchers at the front of their Halloweentown float. 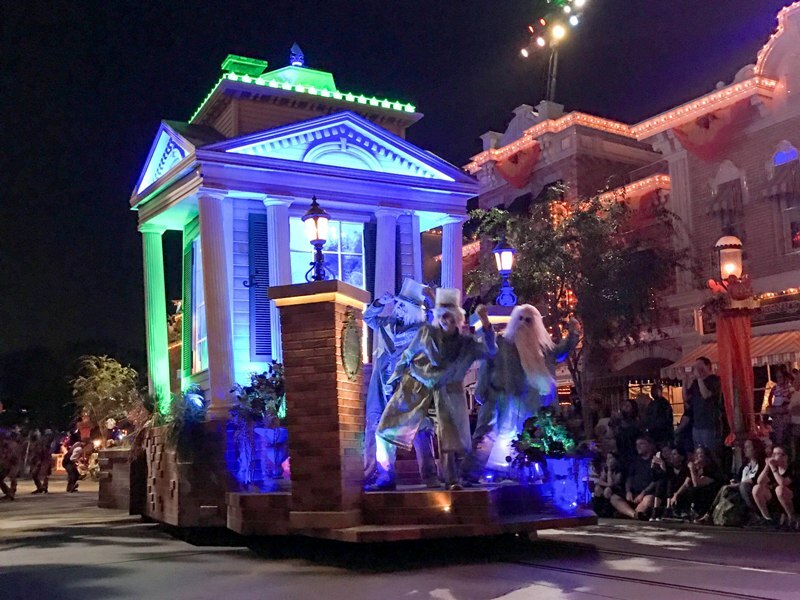 Next is the Haunted Mansion portion of the parade, with undead ballroom dancers, dancing grave diggers, and even Hitchhiking Ghosts! 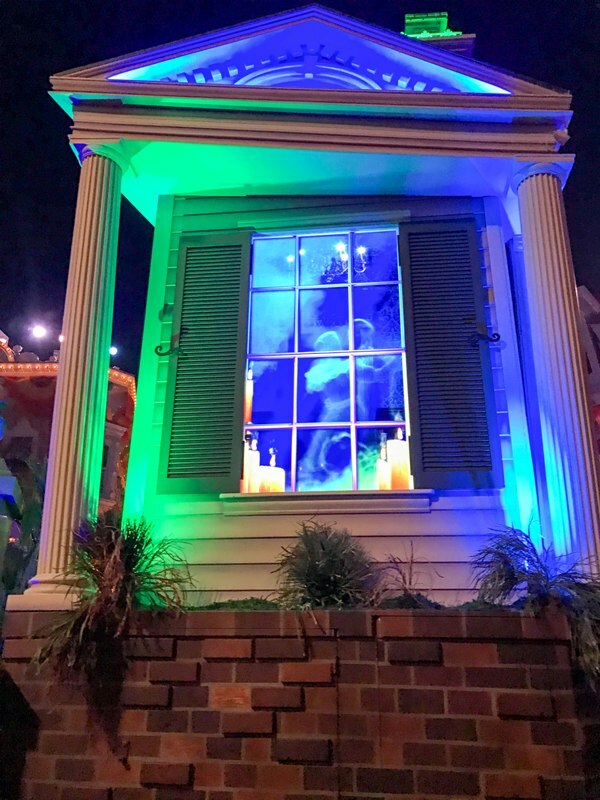 Watch the windows on the Haunted Mansion float for an eerie effect! 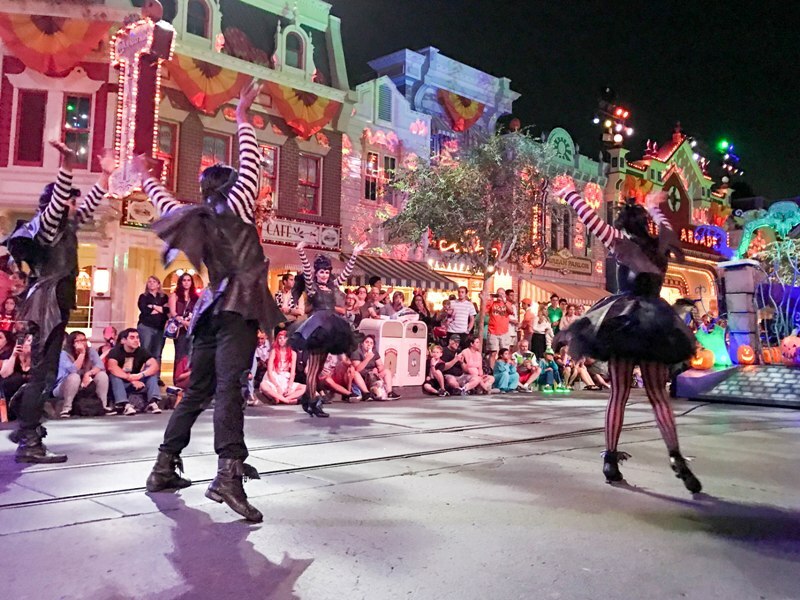 And of course, it wouldn’t be a Halloween party without Villains! 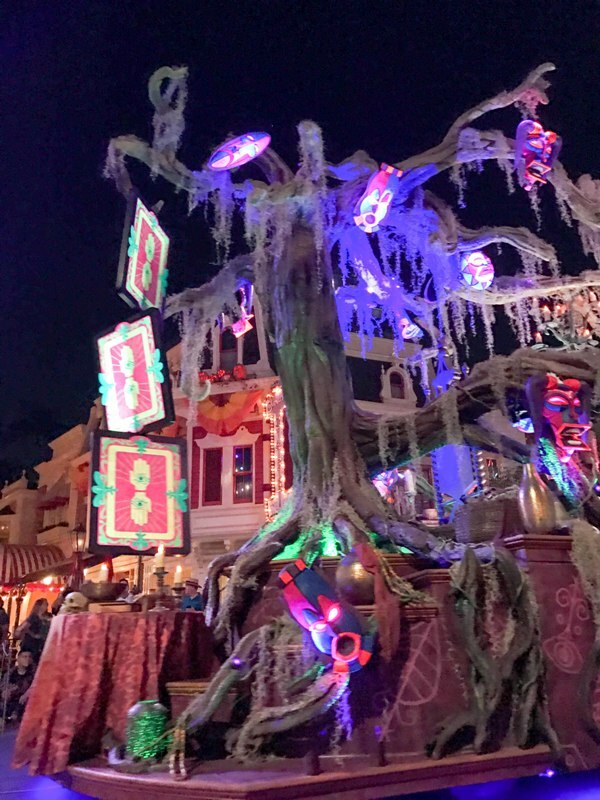 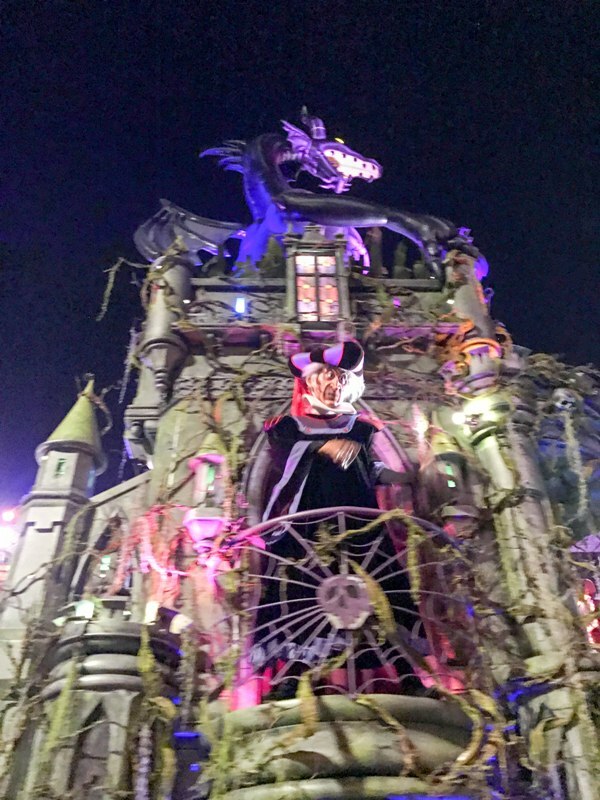 Dr. Facilier’s voodoo dolls lead his highly decorated float, followed by a large float holding some of our favorite classic Villains – Captain Hook, Cruella de Vil, the Evil Queen, and Cinderella’s Stepmom and Stepsisters, just to name a few. 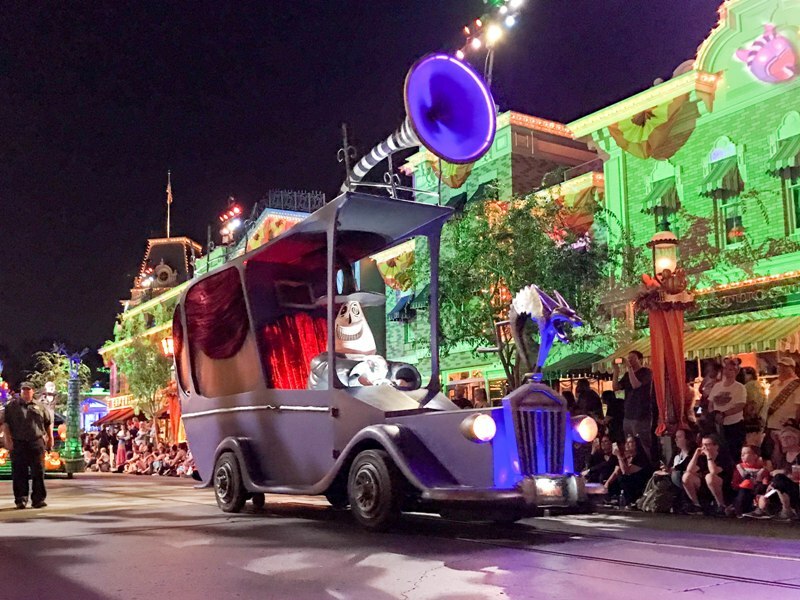 To me, the length of the parade seems just right; with so much going on you wouldn’t want a lengthy Paint the Night style parade taking up too much of your Halloween party time. 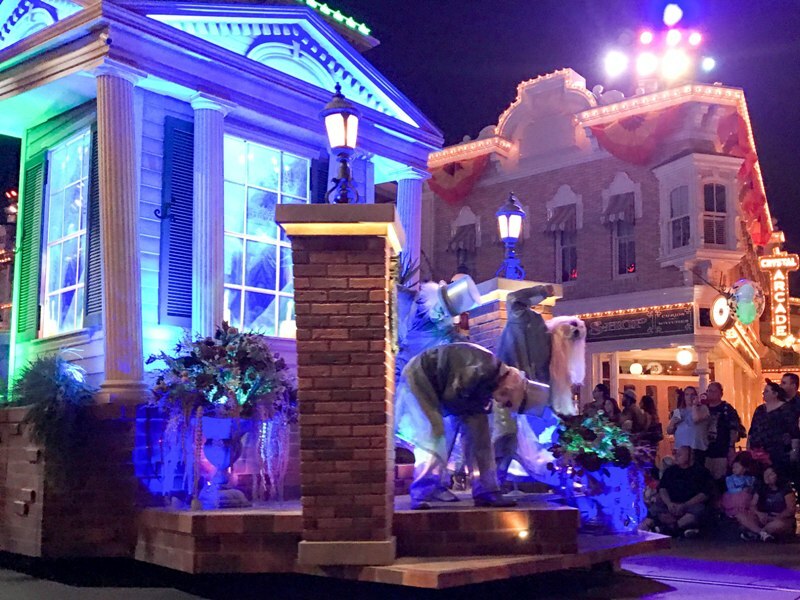 However, be advised that if you want a front row spot on Main Street you’ll need to be in place 60-90 minutes before the start of the parade. 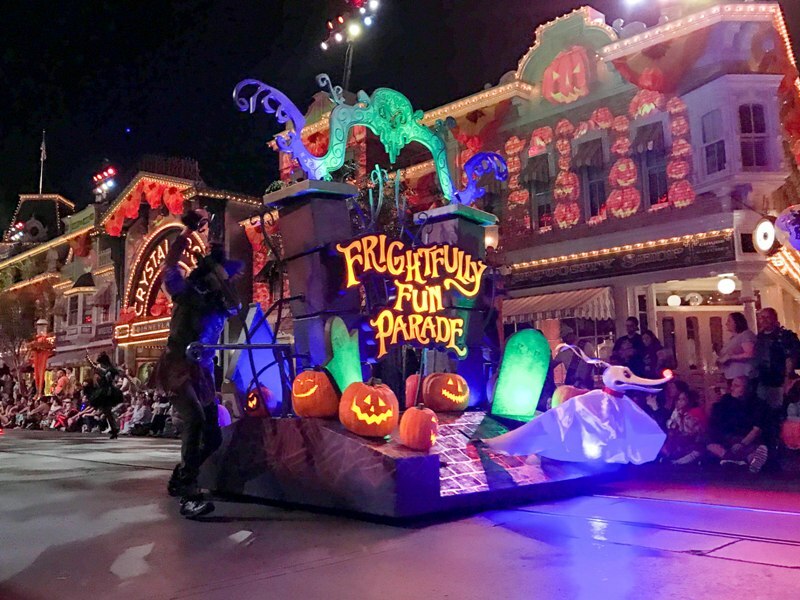 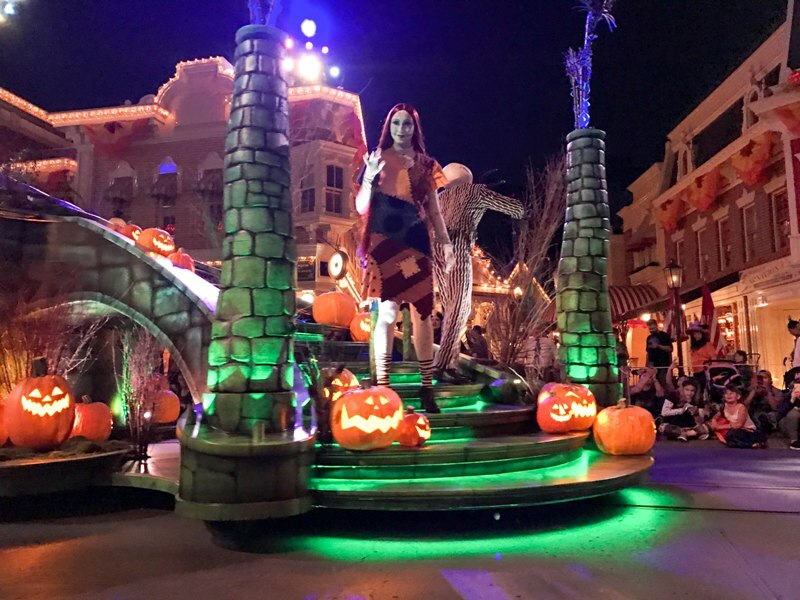 I loved the ‘Frightfully Fun Parade’ and think it’s a great addition to Mickey’s Halloween Party at Disneyland! 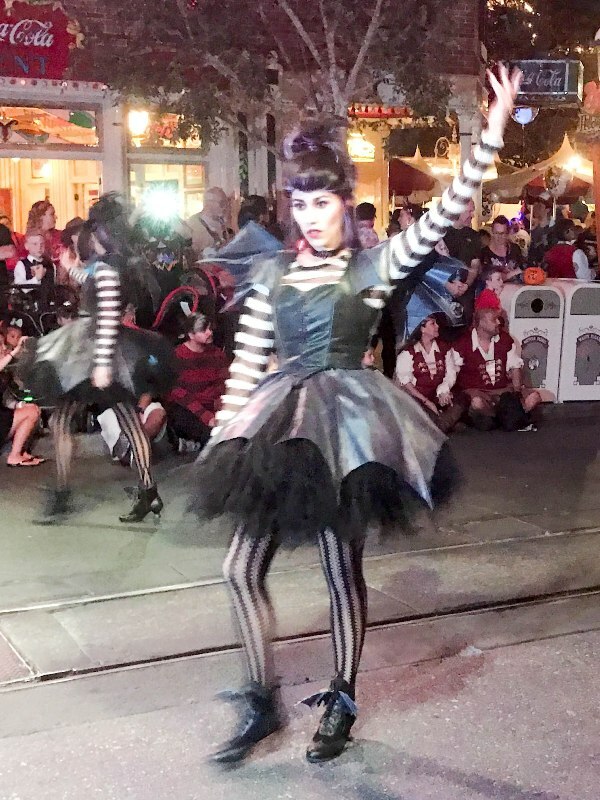 I didn’t realize Disneyland didn’t have a Halloween parade before now! 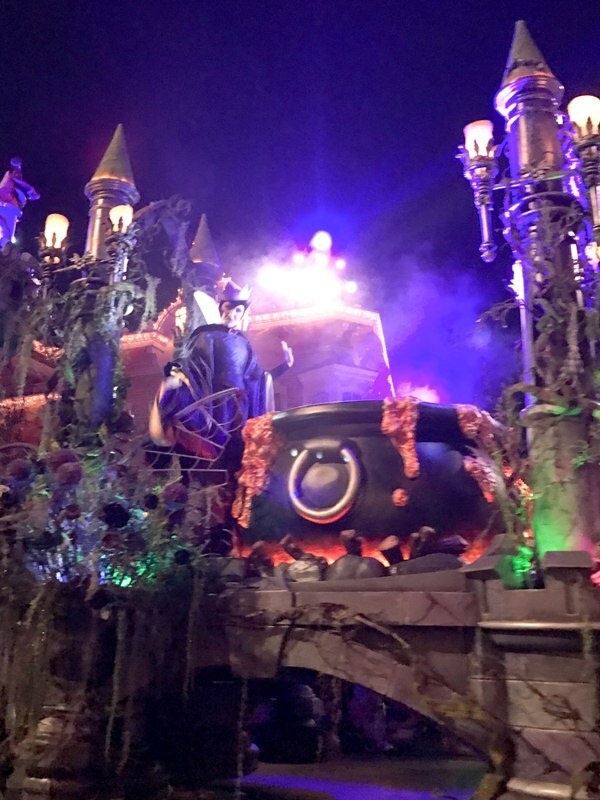 I enjoyed the one at WDW the one time I went to Mickey’s Not So Scary, though it was raining on and off that day so they didn’t have the headless horseman go through. 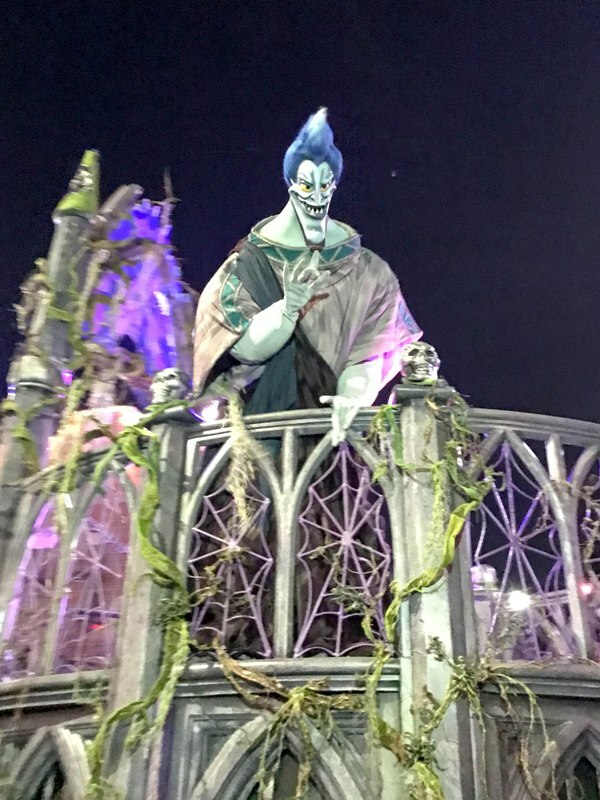 I’m bummed I missed that!